In many cases, when i try to reposition nose, eybrow, e.t.c. When i move them to proper position (according photo), model mesh seems ugly. 2. Refined placement and ugly model. Occasionally the correct placement of the fitting points does not give perfect results. 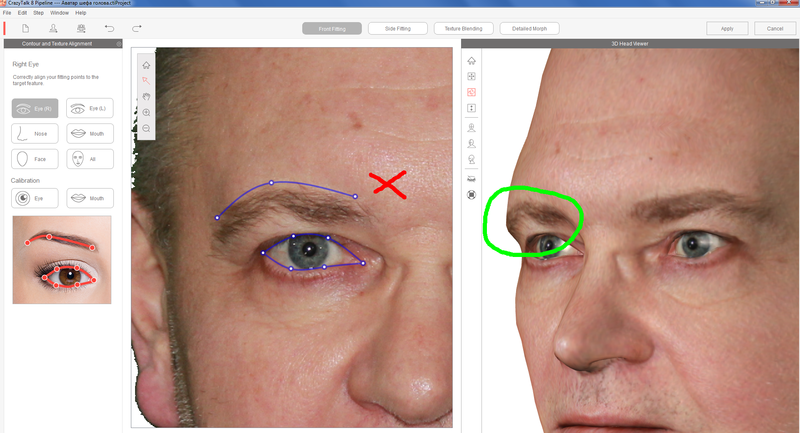 When this happens you can easily make adjustments while checking the results in the 3D Head Viewer to get correct placement. This will normally resolve any issues that you may encounter. You mean first priority is "
how head looks", and not "how points placed"? But how about facial mimic? Is it will be proper? I mean with some points/lines placed not correctly.